Department of Mathematics, National Institute of Technology Jamshedpur, Jharkhand 831014,India. The Fuzzy Linear Programming problem has been used as an important planning tool for the different disciplines such as engineering, business, finance, economics, etc. In this paper, we proposed a modified algorithm to find the fuzzy optimal solution of fully fuzzy linear programming problems with equality constraints. Recently, Ezzati et al. (Applied Mathematical Modelling, 39 (2015) 3183-3193) suggested a new algorithm to solve fully fuzzy linear programming problems. In this paper, we modified this algorithm and compare it with other existing methods. Furthermore, for illustration, some numerical examples and one real problem are used to demonstrate the correctness and usefulness of the proposed method. Zimmermann, H. J. (2011). Fuzzy set theory—and its applications. Springer Science & Business Media. Baykasoğlu, A., & Subulan, K. (2015). An analysis of fully fuzzy linear programming with fuzzy decision variables through logistics network design problem. Knowledge-Based systems, 90, 165-184. Dehghan, M., Hashemi, B., & Ghatee, M. (2006). Computational methods for solving fully fuzzy linear systems. Applied mathematics and computation, 179(1), 328-343. Ebrahimnejad, A., & Tavana, M. (2014). A novel method for solving linear programming problems with symmetric trapezoidal fuzzy numbers. Applied mathematical modelling, 38(17), 4388-4395. Khan, I. U., Ahmad, T., & Maan, N. (2013). A simplified novel technique for solving fully fuzzy linear programming problems. Journal of optimization theory and applications, 159(2), 536-546. Lotfi, F. H., Allahviranloo, T., Jondabeh, M. A., & Alizadeh, L. (2009). Solving a full fuzzy linear programming using lexicography method and fuzzy approximate solution. Applied mathematical modelling, 33(7), 3151-3156. Kumar, A., Kaur, J., & Singh, P. (2011). A new method for solving fully fuzzy linear programming problems. Applied mathematical modelling, 35(2), 817-823. Shamooshaki, M. M., Hosseinzadeh, A., & Edalatpanah, S. A. (2014). A new method for solving fully fuzzy linear programming with lr-type fuzzy numbers. International journal of data envelopment analysis and* Operations Research*, 1(3), 53-55. Veeramani, C., & Duraisamy, C. (2012). Solving fuzzy linear programming problem using symmetric fuzzy number approximation. 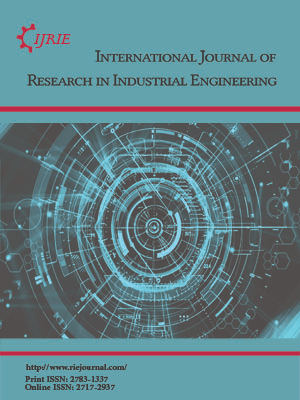 International journal of operational research, 15(3), 321-336. Wu, H. C. (2008). Using the technique of scalarization to solve the multiobjective programming problems with fuzzy coefficients. Mathematical and computer modelling, 48(1), 232-248. Iskander, M. G. (2003). Using different dominance criteria in stochastic fuzzy linear multiobjective programming: A case of fuzzy weighted objective function. Mathematical and computer modelling, 37(1-2), 167-176. Mahdavi-Amiri, N., & Nasseri, S. H. (2006). Duality in fuzzy number linear programming by use of a certain linear ranking function. Applied mathematics and computation, 180(1), 206-216. Ezzati, R., Khorram, E., & Enayati, R. (2015). A new algorithm to solve fully fuzzy linear programming problems using the MOLP problem. Applied mathematical modelling, 39(12), 3183-3193. Dubois, D. J. (1980). Fuzzy sets and systems: theory and applications (Vol. 144). Academic press. Kauffman, A., & Gupta, M. M. (1991). Introduction to fuzzy arithmetic: Theory and application. Mathematics of Computation. Liou, T. S., & Wang, M. J. J. (1992). Ranking fuzzy numbers with integral value. Fuzzy sets and systems, 50(3), 247-255. Das, S. K., Mandal, T., & Edalatpanah, S. A. (2017). A new approach for solving fully fuzzy linear fractional programming problems using the multi-objective linear programming. RAIRO-operations research, 51(1), 285-297. Das, S. K., Mandal, T., & Edalatpanah, S. A. (2017). A mathematical model for solving fully fuzzy linear programming problem with trapezoidal fuzzy numbers. Applied intelligence, 46(3), 509-519. Das, S. K., & Mandal, T. (2015). A single stage single constraints linear fractional programming problem: An approach. Operations research and applications: An international journal (ORAJ), 2(1), 9-14.